Our new Wildflowers wedding invitations feature a beautiful floral border and classic text for a romantic design. We are in love with this new wildflower inspired design! 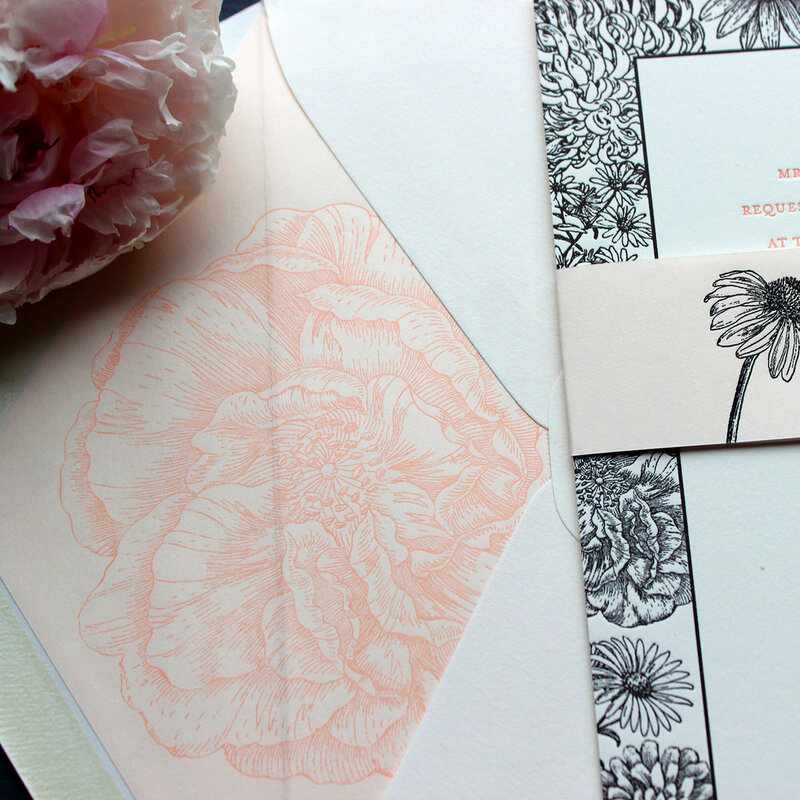 These letterpress invitations feature a gorgeous border of assorted vintage flower illustrations. We've put an English Garden to paper with roses, peonies, hydrangeas and more. Whether you're having a spring garden wedding, or just love flowers, these chic invitations are for you! The envelope is lined with pink paper, and a large rose illustration, for an extra touch of romance. The black floral border is a unique choice, and pairs beautifully with pale pink ink. This design would be great in any contrasting color combination that fits into the theme of your dream wedding.